All our top 20 favorite games of the year in one tidy little place. Yay! You've been watching us countdown our top 20 games of the year all week long, and now that we've wrapped things up, we can toss everything into one single article. We hope you enjoy our picks for our favorite games of 2017, and we'll see you next year! I continue to marvel at the turnaround on this game. Final Fantasy XIV Online was a dire, dire game in its original release. In its hubris, Square Enix just released a game and expected that the Final Fantasy name would carry it forward. The mechanics were poor and obtuse, the overall story was bad, and in the end, the entire game was a chore to play. Very few games get a second chance. Very few MMOs use that second chance to improve themselves. Square Enix did something unprecedented: they tore down everything they had built and crafted an entirely new game. And it worked. It not only worked, but since then, it has thrived. 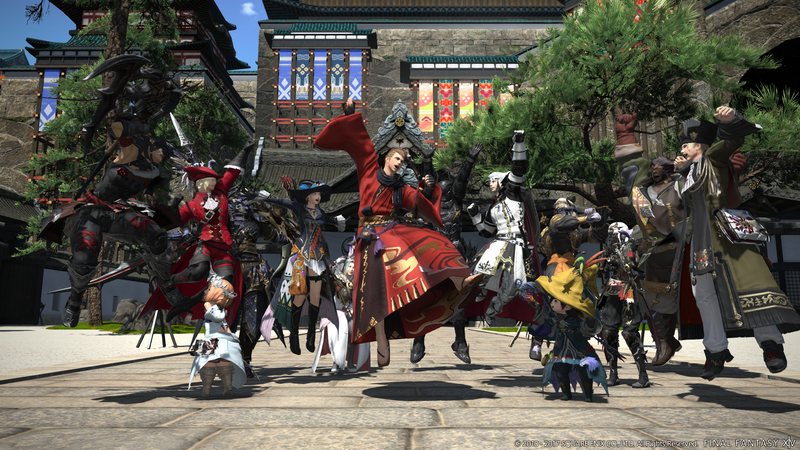 The team behind Final Fantasy XIV has only gotten better at their craft. Stormblood takes the Warrior of Light to the occupied territory of Doma, with a story of hope and liberation. If A Realm Reborn and Heavensward represented a developer learning what worked and didn't, Stormblood is that same team doing what it does best with confidence. 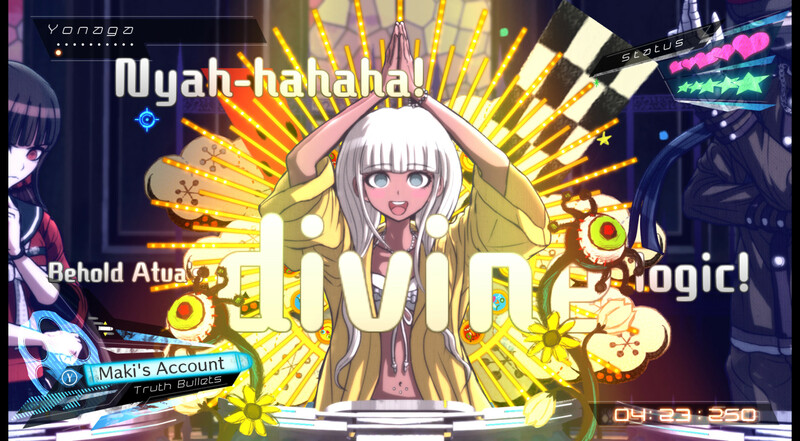 You can't just jump into Danganronpa V3: Killing Harmony. Even with its different cast and different setting, as with the last two games in the series, Danganronpa V3 operates on the knowledge you have from the prior games of the series. Then it tears down your expectations that lie with them. Even then, Danganronpa V3 with its class trials, bewildering murders, and cheeky villainous bear at the center is still very much a Danganronpa game. Though by its end, something shifts. While the spirit of Danganronpa is remains, Danganronpa V3 feels like the definitive (and necessary) end for the series that was spiraling out of control, thanks in part to its massive fandom. It's a controversial finale, too, as the core fanbase remains split over how the game concludes. Some hated it, others loved it; it's a polarizing game, to say the least. What Remains of Edith Finch by Giant Sparrow is a specific type "indie" game. High-minded and intellectual, but joyful to play and endlessly creative in ways that only video games can be. 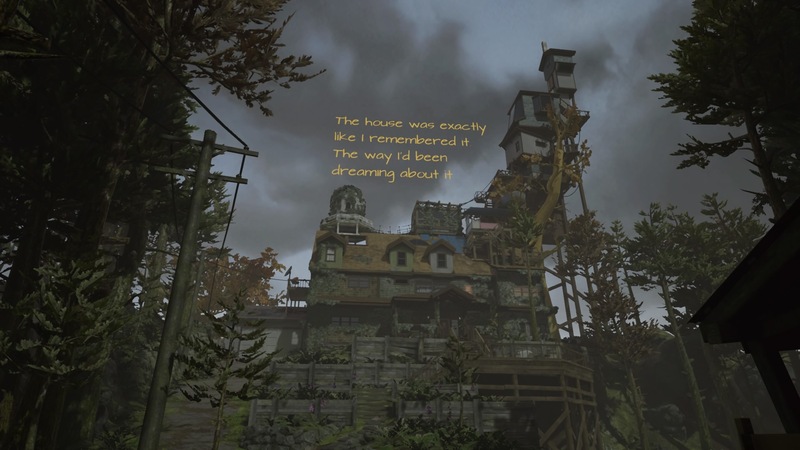 A good "art" game should be able to balance both and Edith Finch does all that and more in under three hours. Edith Finch follows the eponymous character as she pieces together the history of her possibly cursed family. Edith Finch is broken up into little segments that focuses on a different family member up and down the twisty, haunted family tree of the Finch clan. Giant Sparrow has such complete mastery over each character that a short 20 minute vignette is all one needs to understand a Finch family member inside and out. And as Edith works her way through her past, the players are taken on an emotionally devastating journey that only happens when a player and game become intimately linked. There's not too much new about Splatoon 2, at least at the start there wasn't. There was more content at launch, a shorter map cycling rotation, a new PvE mode called Salmon Run, and a better single-player campaign. Even with all that, Splatoon 2 just seemed like Splatoon 1.5. 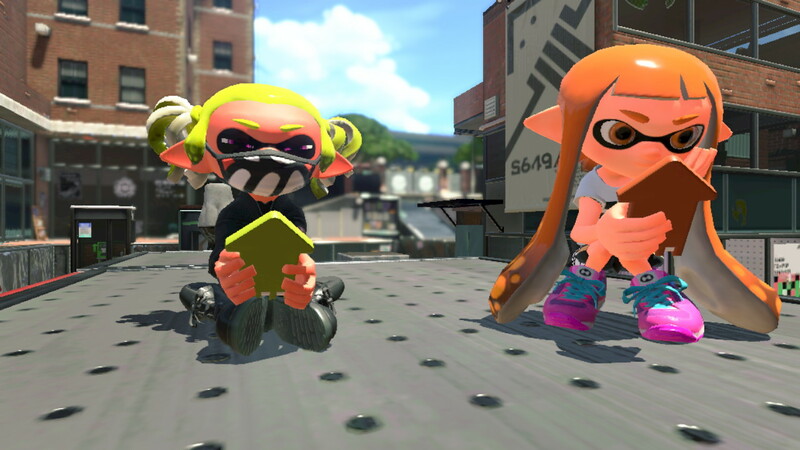 Then as the year went on, more content was added: more maps, more weapons to splat stylish squid-kids with, more music, more gear, more hairstyles, and the list goes on. Splatoon 2 finally earned the big number two in its title, and it only took months after release for it to do it. Splatoon 2 would probably resonate a little greater if its formula hadn't already been perfected in Splatoon for the Wii U, the lesser played original in the series. Still, Splatoon 2 remains a breath of fresh air in the crowded genre of shooters. It's like a nice dessert after a hearty meal; easy to consume because of the brevity of its matches, low-consequences and low-stakes, while feeding into the urges for both the paint-focused and splat-focused player. More than anything Hellblade: Senua's Sacrifice is an admirable endeavor. Developer Ninja Theory eschewed traditional Triple-A development to work on a smaller, more personal project. 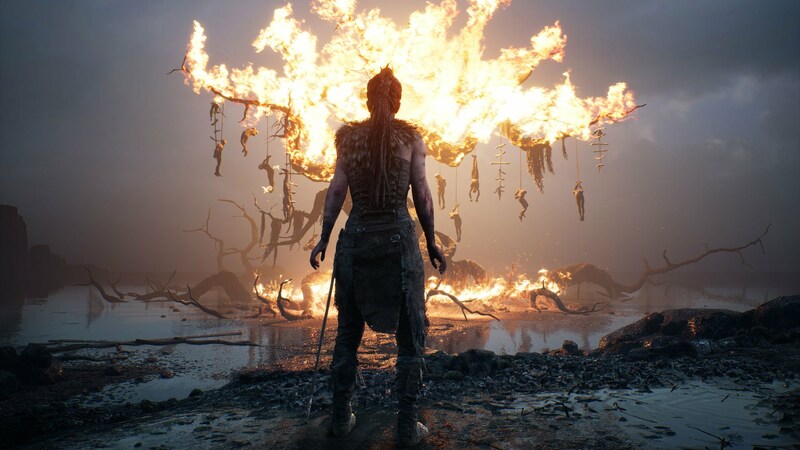 Hellblade still has the action-adventure bonafides the studio is known for, but core to their story of a Celtic warrior is a treatment of mental health that, while not perfect, feels genuine and brave. And it might not have landed at all if not for the powerful performance from Melina Juergens, a Ninja Theory video editor tasked with bringing to life Ninja Theory's most complex character yet. And bring to life she did. Juergens (who won best performance at this year's Video Game Awards) brings to Senua all the fury and hell of a woman tormented by her demons. To see Juergens in action is to see the entire process behind Hellblade. Sure, the combat is rather plain and repetitive, and the puzzles are less than ideal. But Ninja Theory found something special in Senua and Juergens that let them tell a story centered around mental health. Since the launch of the first Assassin's Creed in 2007, Ubisoft has released nine primary entries and a number of spin-off games. After Unity faltered in 2014 despite having a strong setting to work with, Ubisoft decided to take a year off and give 2016's entry another year to cook. The result is Assassin's Creed Origins, which acts as a soft reboot for the entire franchise. The hoods and Hidden Blades are still here, but Ubisoft has done some work on this ride. The storytelling is improved and the game functions more like an action RPG with gear and levels. Thesee changes mark a title that heads back to ancient Egypt to tell the story of the founding of the Assassin Brotherhood. A major draw of Origins remains the same as other games in the series. No other developer or publisher can recreate historical eras and regions like Ubisoft can. 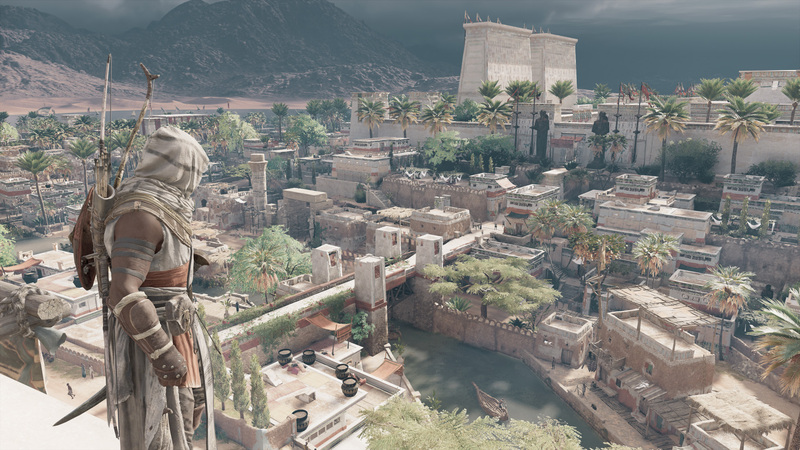 Origins will take you from sunblasted deserts to hidden swamps and glistening oases. The cities feel real and unique, from your quiet home town of Siwa, to the Roman influence of Alexandria and the Greek color of Kyrenaika. No game in 2017 looks this good and the attention to detail has to be seen to be believed. Yeah, I'm as surprised that this game is up here on this list as you are. How this title not only coasted through the pitch and development phases, but also ended up being good is beyond me. 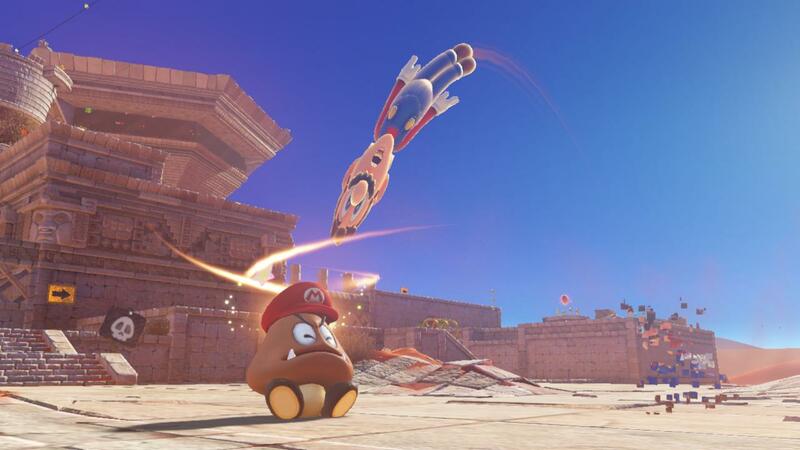 On paper, bringing Nintendo's marquee Mario franchise together with Ubisoft's Rabbids seems like a pure cash-in. Beyond that, you'd think the result would be a platformer like the Super Mario series or a mini-game collection like many of the Rabbids titles. Instead, it's a streamlined version of the gameplay found in the XCOM franchise: isometric turn-based strategy. Ubisoft knew what to cut. Gone were the huge squads of soldiers prone to breaking down under pressure or simply dying; instead you have a small team of core characters you build over time. Tired of having an 80 or 90% chance to hit and still missing? Mario + Rabbids has three chance types: 0%, 50%, or 100%. Getting a little bit bored of the early phases of XCOM, which are all about slowly moving into position? This games adds team movement, bouncing off a squad member to leap far distances and land on enemies' heads. 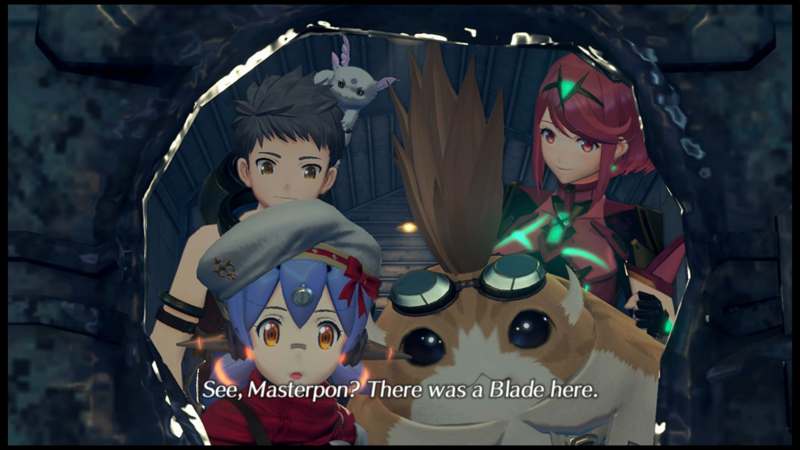 If Xenoblade Chronicles 2 was a person, it'd be a huge, loud, and over-eager scatterbrained pal who just wants to show you a good time whether you're in the mood for it or not. You might find yourself reluctant at first, but in time, you start to realize—"Hey! I am having fun!" I don't know if I can easily recommend this MMO-inspired RPG to anyone who didn't love the first game, though. You're generally looking at more of what Xenoblade Chronicles dished out on the Wii: Goofy protagonists with doofy British accents screaming about love and friendship (unless you turn down the voices and / or download the Japanese voice cast). The battle system is also a bit hard to grasp at first, but once you have it down-pat, you may be surprised to discover how chill it actually is. Uncharted 4: A Thief's End was the literal end of the Nathan Drake story. Our Indiana Jones, our protagonist that had shot, ducked, and leapt his way through four other adventures finally got his happy ending. It was a grand adventure that felt like an emotionally satisfying way to close out Drake's adventures. So where could the series go next? Drake's children? Fill in the backstory of Victor Sullivan? Cover an additional adventure in Drake's past? Instead, Naughty Dog decided to build on Drake's supporting cast. 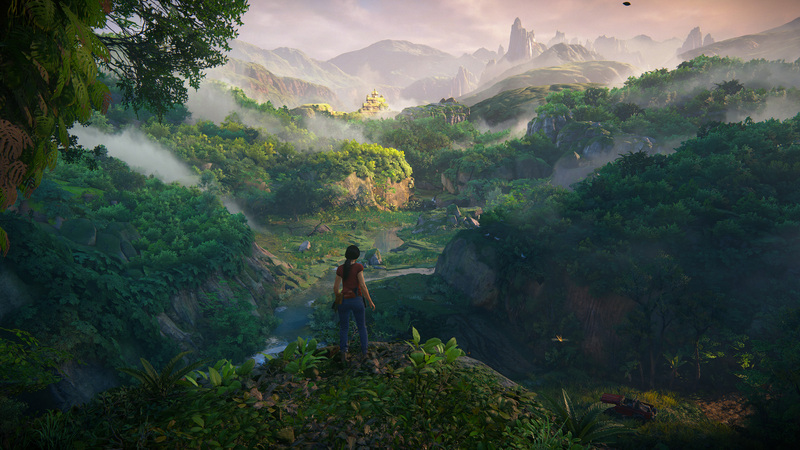 Originally planned as a downloadable add-on for Uncharted 4, Uncharted: The Lost Legacy represents the first tiny step into the franchise's future. The focus shifted to former Uncharted 2 love interest Chloe Frazier, joined by Uncharted 4 antagonist and mercenary Nadine Ross. Together, the pair have to bond under pressure, rolling from set piece to set piece, solving puzzles, and getting into all sorts of trouble. The Lost Legacy started with the core gameplay found in Uncharted 4, but it ultimately built upon one of that game's missteps. The open-world section of Uncharted 4 felt aimless and shoehorned in. In The Lost Legacy, it was beefed up: the level design was improved, the puzzles spanned different areas, and there was a reason to hop off the beaten path. The open-world section acted as a breather for the rest of the game, which remained mostly linear. 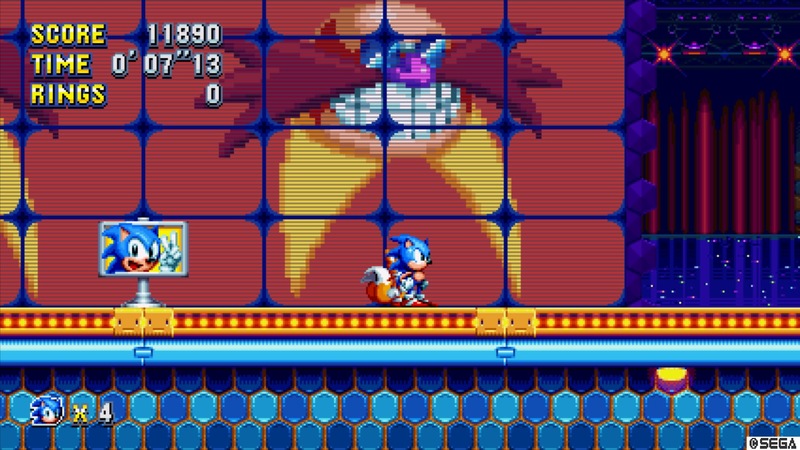 Sonic Mania solidified once and for all that Sonic is in fact a great platformer. Yes, there has been some question about that in my mind. As a professed Mario fan, I've always found Sonic to be too messy; too reliant on flash and not enough on substance. True, there were great levels like Chemical Plant Zone, but the bad often seemed to outweight the good. When Sonic had to slow down and actually do some real platforming, even the best games in the series seemed to fall apart. Sonic Mania, by contrast, relentlessly ratchets up the quality, each level being better and more creative than the last. It's a glorious testament to the 16-bit era, putting both Mega Man and Mario to shame with some of the best pixel art I've ever seen. And best of all, it's available on the Nintendo Switch—the new spiritual home of the classic platformer. The RPG genre within video games has its roots in the original Dungeons & Dragons pen-and-paper role-playing game. Most of the early games based their ideas on those established in D&D, like hit points, experience gain, and the colorful array of monsters that tend to pop up repeatedly. For a while, games did their best to get across that experience in a digital form. Over the past few years though, that fell by the wayside for grand epics delivered in high fidelity, with sprawling worlds and full voice acting. Now, I enjoy those games, but something was lost. A number of games have gotten close to recapturing that original Dungeons & Dragons feeling. The revivals of early PC RPGs like Wasteland 2 and Pillars of Eternity. In that style, 2017 saw the release of a game that I feel has done the best so far at really making D&D in a digital form. That's Divinity: Original Sin 2. 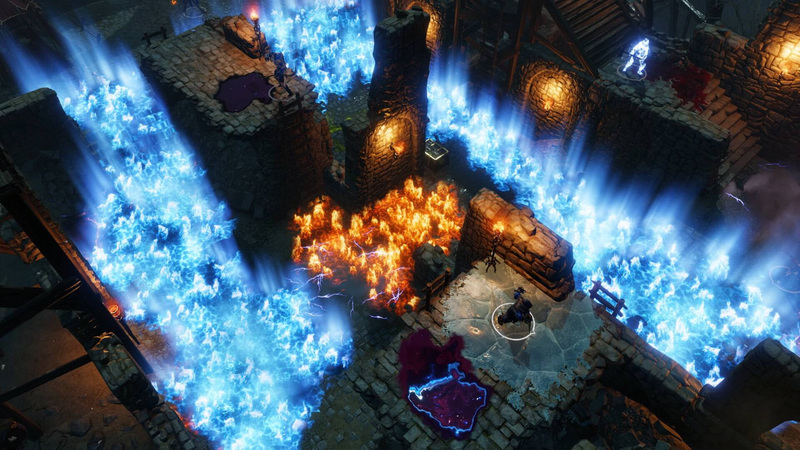 Larian Studios was already working from a solid base, as Divinity: Original Sin and its following Enhanced Edition release already stood among the best in the genre. The sequel retained Original Sin's unique style of combat, which pushed the player to think of spells and skills in terms of combinations. As an example, let's say you have a target that's giving you trouble. You cast Decaying Touch, which gives them the Decay status, meaning healing hurts them. Then you cast Raining Blood, which covers the immediate battlefield in blood. Then you cast Blood Sucker on your target, which cause them to siphon up any blood in their immediate vicinity as healing. Since the Decaying Touch is active, this healing instead causes a ton of damage. Divinity: Original Sin 2 is full of combinations like that. Some are straight-forward, like using Rain and Winter Blast together, but veteran players have found some interesting effects that I'm sure the developer didn't intend. And that's part of the fun of the game. The spells interact with each other, the characters, and the battlefield itself. Everything comes together to create encounters that are truly random and novel at times. It's a game that encourages water cooler conversations. Some of these skills extend to explorations and general interactions with NPCs. Solve a murder by talking to the ghost of the victim. Enter a location guarded by dogs by taking a perk to talk with animals and simply befriending them. There's a number of different ways to achieve your objectives and that freedom is why Divinity: Original Sin 2 and its predecessor work. On top of this solid core is some great writing, good voice work, and a host of alternate gaming options. Sure you can play the game alone, but there's also a cooperative multiplayer mode with up to four-players. There's a PVP arena so you can try out those combos on your friends. There's even the all-new Game Master mode, which recalls Dungeons & Dragons in the best way, as one player becomes the Game Master, using tools to craft their own stories for friends to play through in real time. Even though this moody adventure game took me a weekend to clear, it's a weekend I won't forget any time soon. 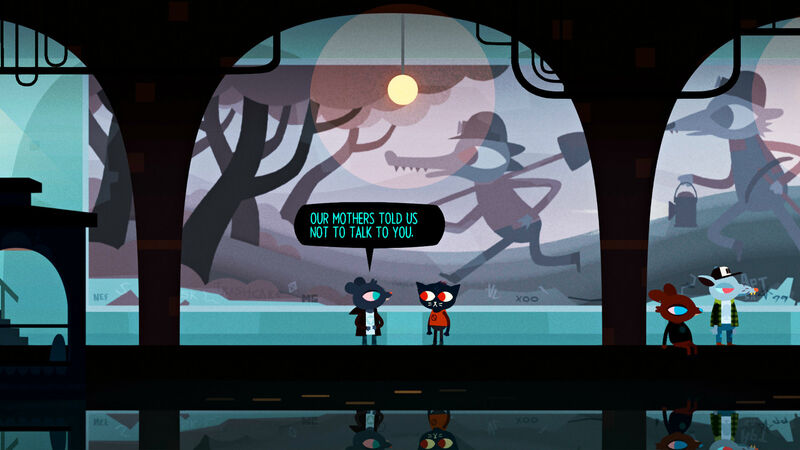 Night in the Woods' expressive visuals, atmospheric soundtrack, and weird-but-engaging story hooked me from moment one. Though I didn't grow up in a dying coal-mining town like the game's heroine, Mae, I had no trouble identifying with her problems and the problems plaguing her friends and family. I kept playing because I wanted to see how they'd all turn out. The answer is—well, you'll want to find out for yourself, really. A few months ago I was talking with my roommate about what makes a perfect horror game. After two heated hours of shouting, we settled on the fact that P.T., the playable teaser for Hideo Kojima's cancelled game Silent Hills, was about as perfect a horror game as we'd ever get. Then came Resident Evil 7. It's unfair to call Resident Evil 7 a return to form because Resident Evil has never been in this particular form. Replacing the series' traditional third-person camera with a first-person perspective, a la P.T., Capcom takes the brief Kojima teaser and runs away with its own unique take. Resident Evil 7 replaces the psychological horror of P.T. with Capcom's own white-knuckle brand of horror games. The game is an old-school horror, as down and dirty as the swamp mansion residence of the mutated Baker family the player faces off against. Along the way, Capcom can't help but return to its bread-and-butter staples. There are hidden science labs, a growing arsenal of weapons, and a distinctly uninteresting brand of goo monsters. 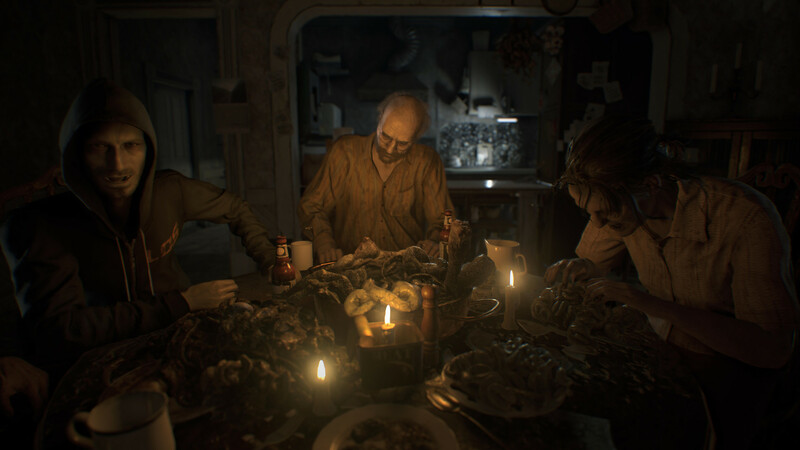 But through it all, Resident Evil 7 manages to restrain itself where it matters, and accelerate the action when necessary to craft a horror game that's more than the sum of its parts. Everyone's afraid of B.J. Blazkowicz, as they should be. He's a not very lean (he's pretty buff), mean, killing machine. The Nazis even erected arcade cabinets of games with B.J. (or Terror-Billy) as the villain in his honor. Except, B.J. 's really not always that gruesome of a guy. In-between slaughtering Nazis, B.J. is tender. He cares for his lover Anya, who's pregnant with twins, and he worries for his crew of resistance fighters. 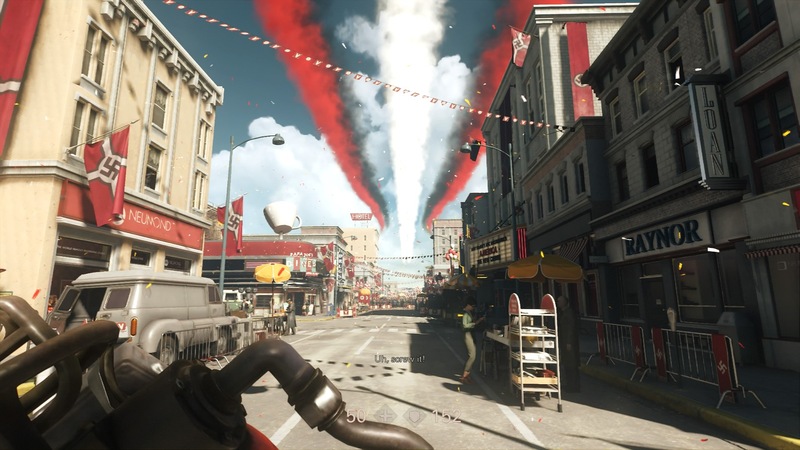 Wolfenstein 2: The New Colossus, being the brutal shooter it is, takes its time between missions, and sometimes in them too. It balances its violence with quiet. It balances its sorrow with unabashed joy. Wolfenstein 2 is at its best when it does the unexpected: whether it's a jaw-dropping, prolonged story beat in the midst of its tale, or a silly detour quest on his home base. 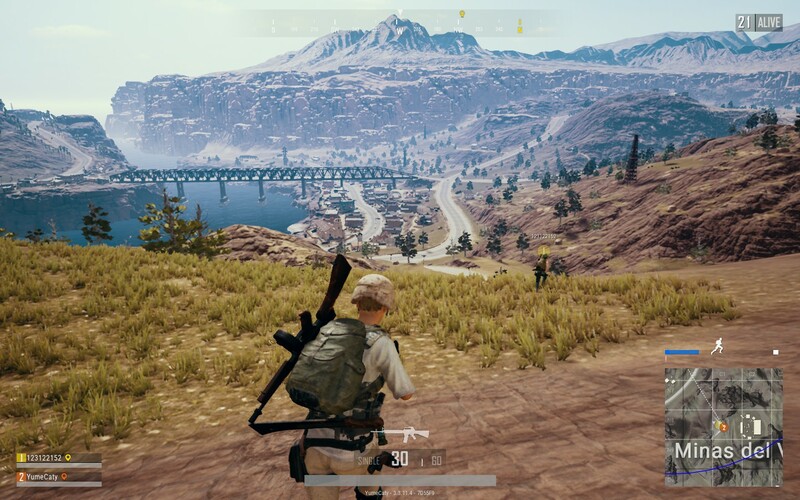 I can't help but think about Brendan "PlayerUnknown" Greene, the man behind arguably the year's biggest hit, when I think of PlayerUnknown's Battlegrounds. He's a super normal dude, almost eerily so. He bounced from web design jobs to photography jobs before he helped usher in the most exciting multiplayer genre in possibly decades. He's lived in countries all across the world. He's a seasoned adult, not some random kid who got lucky. Then Greene started making mods, and then he made the Battle Royale mod, and now PUBG, at the time of writing this, far and away has the most concurrent players on Steam at around 1,550,000 players. For perspective, Valve's own popular MOBA Dota 2 lags behind in second place with around 560,000 players. That statistic is astonishing for a game that spent most of the year in Early Access; perhaps even more so for a game from a once-modder. But PUBG isn't like most Early Access games that come and go on Steam. PUBG is a sensation. That's because PlayerUnknown's Battlegrounds is a pure sort of experience. At its start, it was stitched together by one aesthetically-inconsistent map (and with its new 1.0 release, a better map joins it), a handful of weapons, and general clunkiness guiding you. But even as it's evolved to be a much smoother game since its Early Access debut, the core of it has remained untouched: 100 people on an island battling one another for victory, or rather, a chicken dinner. Sometimes these battles come to fruition in duos, sometimes in squads, sometimes solo. But the core has always been the same: survive by whatever means necessary. Yakuza 0 is the first Yakuza game to really, and I mean really, catch on in the west. Word of mouth propelled it on social media, as players shared their tender moments with misunderstood bad boy Majima and the stoic but kind-hearted Kiryu. At times, browsing Twitter almost felt like a gigantic Let's Play, as everyone shared their favorite moments with the two heroes, from overdramatic RC car racing to helping a father "reconnect" with his long lost daughter who works at a hostess club. The Yakuza series was finally getting its due. 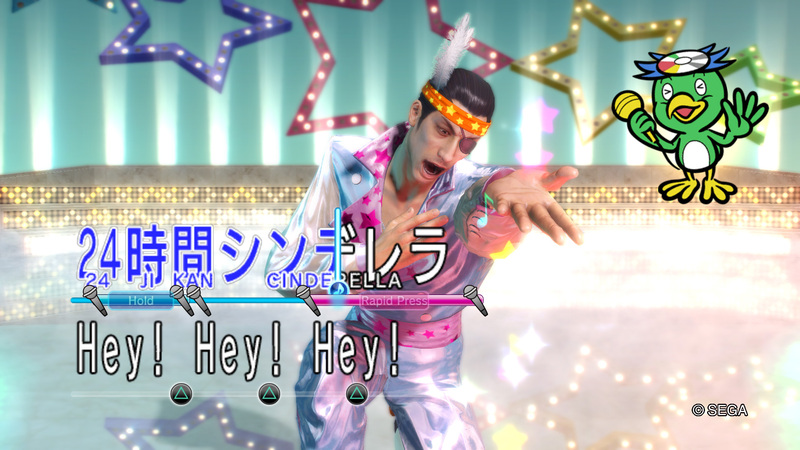 When Yakuza 0 released early in the year, players were introduced to a seemingly new sort of semi-open world action brawler. Starring as two anti-heroes from opposite ends of Japan, players followed the game's surprisingly gripping tale of two Yakuza outcasts, left to weather running businesses and trying to get revenge against tattooed thugs, and, y'know, occasionally running errands like helping break people out of cults too, as you do. This is probably the most obvious pick for Game of the Year outside of Breath of the Wild. This delightfully light-hearted Mario romp arrived just as people were discussing how their appetites for a collect-a-thon game had gone unsated for many years. 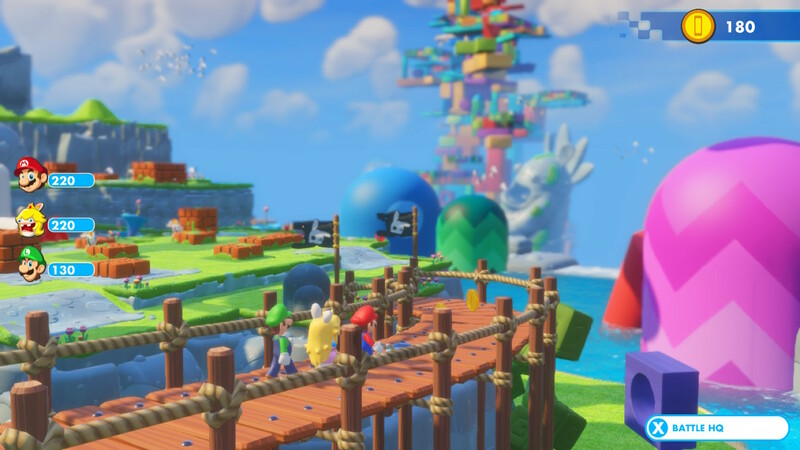 Well, as a successor to Super Mario 64, Super Mario Odyssey is the answer for hungry fans of collect-a-thons (sorry, Yooka-Laylee). Each of Odyssey's kingdoms are small open worlds that you're free to explore at your leisure. You can execute a huge selection of moves to find Power Moons, and also for the satisfaction of going to areas you're technically not supposed to. Nine times out of ten, however, Nintendo will reward your nosiness with a small treat of coins or another power-up. Exploring Odyssey rarely feels stifling or punishing. There's no hand on your shoulder and voice saying, "No, why don't you go over there?" Out of all the games I played in 2017, Persona 5 made me feel the widest range of emotions. Atlus' RPG expertly reels you in during intense moments, but it also gives you plenty of slack so you can calm yourself while you roam around. I still think about the slow, subdued version of "Beneath the Mask" that plays when you finish your daily tasks during the game's rainy season. It's a perfect cap to a long day of stealing hearts in the name of justice. Persona 5 also boasts a unique visual style that's almost hypnotic to look at. Everywhere you look, bloody reds and watery black shadows spill across the landscape, effects befitting of a game about high schoolers attempting to clean up a corrupt world. 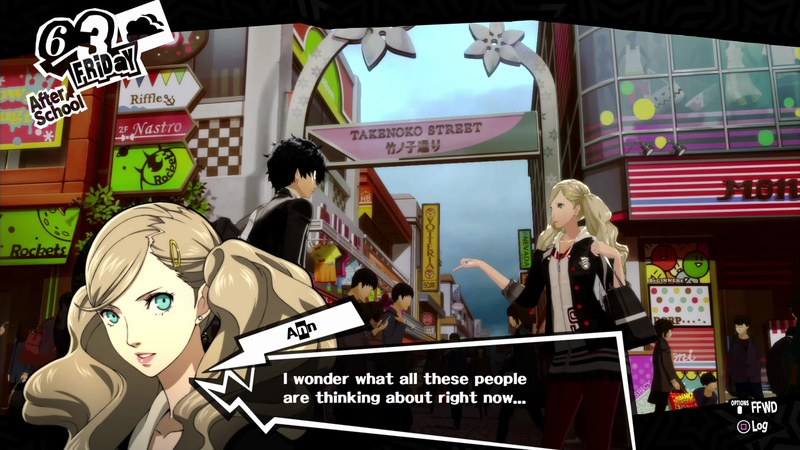 Realism matters less and less in game graphics, and Persona 5 is a good indication of where we're going. Style garners more praise than power, and I'm okay with that. I first sampled Persona 5 under unique circumstances. I was about three quarters through my first playthrough of Persona 4 Golden (and by extension, my first Persona game) when I decided to "just try out" Persona 5. As much as I liked Persona 4, 5 hooked me in a way its predecessor never quite managed. The visual style and characters immediately grabbed me, as did the more substantial and themed dungeons (Persona 4's dungeons are randomly generated). I also like 5's emphasis on forming bonds with your Personas: Baphomet is the Prince of Hell. Why would he hang with a pack of snot-nosed high schoolers unless he has a reason to respect them? Though the negotiation process becomes a bit repetitive by the game's dwindling hours, I much prefer bargaining with my sidekicks versus simply winning them at the end of a fight, a la Persona 4. It really does feel more like a partnership when negotiations are involved. 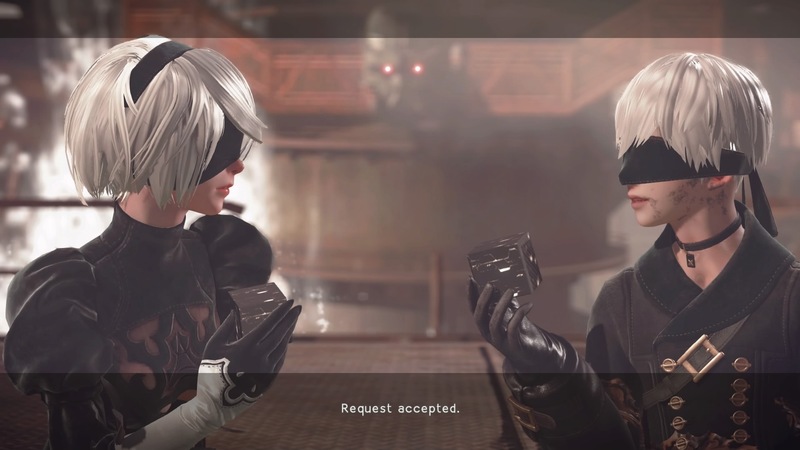 Nier: Automata, the action-RPG from Platinum Games and legendary director Yoko Taro, is a game overflowing with poignant, affecting moments, but one in particular that stuck with me happened at the start of the second playthrough. I was playing as the character 9S now, a sidekick to main heroine 2B, seeing the world through their renewed eyes. Just as with the start of the first playthrough, the game took me to its settings and laid its menu bare for me to tinker with. It was here that I quickly realized something: I wasn't in control this time. I was watching my past self get acquainted with the menus. I knew this because I remember lingering on brightness settings or something for an absurd amount of time. That's a small example though. The tip of the iceberg, if that iceberg was intent on destroying the expectations that are inherent to video games, JRPGs, and science fiction alike. Nier: Automata isn't just a clever game playing with what we anticipate though, it's a game that by its end felt like nothing else I have ever played. It encapsulates everything my favorite games of 2017 did: giving modern game design and storytelling conventions a big middle finger. In fact, it wouldn't be surprising to see Yoko Taro actually doing the latter. There you have it: The Legend of Zelda: Breath of the Wild is USgamer's Game of the Year for 2017. Nier: Automata had more GOTY votes than any other game, but Breath of the Wild was the only game to make everyone's Top 10. As freelance contributor Doc Burford wrote earlier this year, Breath of the Wild certainly has its flaws. 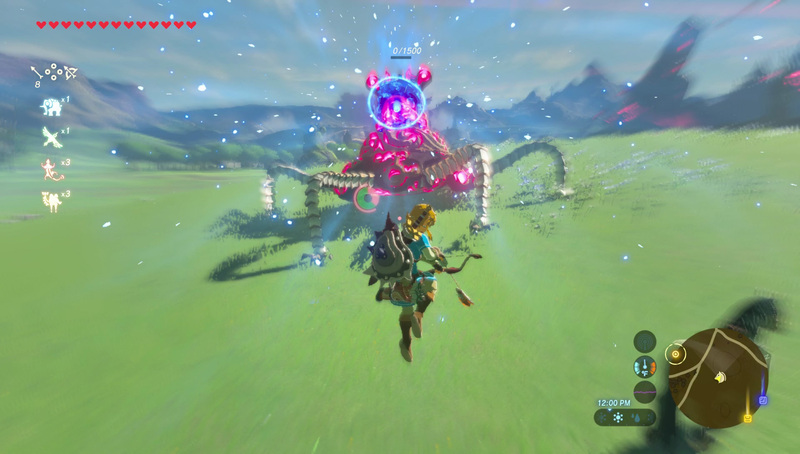 The shrines can get old after a while, the weapon degradation is a point of furious debate; and after you finally take out a Guardian or a Lynel, everything else feels trivial. But it transcends these niggling problems with one of the finest gameplays loops I've ever seen. Where other games clumsily hold your hand from waypoint to waypoint, Breath of the Wild makes you feel like you have total freedom while effortlessly guiding you toward your next objective. No matter where you are, there's always something tempting you just over the horizon. It is the truest expression of Miyamoto's original vision for Zelda—one where deep dark caves and crumbling ruins hold the promise of endless exploration and adventure. Tagged with Feature,	GOTY 2017.